We are curious as to how you found the DragonVale Community forum. Please help the staff plan for the future by taking the poll. Thru the DV wiki link and sure glad I did!!! I don't really remember.... Maybe the link on the Wiki or the Wiki forum? My daughter had introduced me to DV. In mid November 2012 I upgraded to a smartphone that could play DV as I wanted to play it, being dragon-fixated since I discovered them as a small girl. I found the wiki and the sandbox, and was happy gleaning info for breeding from these sources until the mega-long search for the Jade combo. I stumbled upon a worksheet being compiled by the testers trying to work out the combo, and from thence found the 'other place'. From there, it was a short step to proboards and this lovely friendly forum. Fletch mentioned it on the wiki's external forum. I popped over to check it out and was so impressed by what I saw, especially the community gem showers, that I stuck around here too. Thanks Fletch. Same! I saw the link on the wiki, but it was Fletch who made me want to follow his link. My dear friend Google led me here. Found the Community here after finding the DV Sandbox and following link. Everyone was getting banned on the iPad forum, and I tracked them down to here! Googled "dragonvale" and eventually found my way to the forum. I'm glad to have found it! Started playing DV late 2012. Google found me various sources of dragon information, including this wonderful forum. Long time lurker, recent joiner, first time poster. Thank you all! 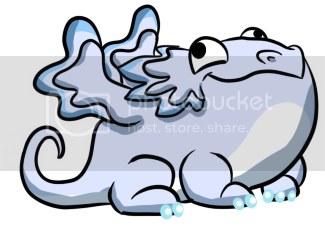 Hi and welcome, Dragonmum! Nice to see you come out from the shadows. Looking forward to getting to know you. Let us know if we can help. Definitely Google. I am so happy that I found this forum. A link from Sandbox led me here. The rest, like they said, is history. Shortly after I began to play DV I searched for more information in the net. Google led me to the Wiki and to this forum. Was lurking for some time because I saw some not so nice posts on other forums before and because english is not my first language. But then I realized the Aloha spirit of this forum. I'm happy to have found this bunch of very friendly people. Over time the attractivity of looking for the newest posts in the forum has outrun DV itself. This great! Love hearing how everyone found this forum. Mine was a friend recommendation/invite when so many were being banned from our former forum. That seems so long ago now. Isn't it funny how much we enjoy the forum. Like you, if I have a few free minutes, I will often use them to check the board instead of doing something else. I love to see what people are saying. It doesn't take long to check, and it is fun to see what is happening with fellow addicts. I'm always surprised when I get on and there are no new posts. 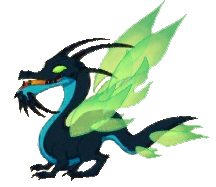 I was introduced to Dragonvale by a friend who I played Pern with. started playing the game and immediately knew I needed help. so I did a google search for Dragonvale strategy and after wading through the sites that don't give you REAL strategy, I got the Community site, which sent me to the forums.